Papers: 27 audiotapes (1966-1975) in Westinghouse Broadcasting Company collection, 1945-1981. Oral History: February 22, 1977; June 20, 1977; July 26, 1978. 16 pages, 11 pages, and 7 pages, respectively. Papers: 1920-1986. 802 cubic feet. 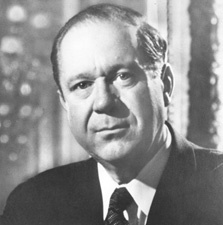 Correspondence, legislative files, committee files, federal agency files, special project files, political campaign files, press releases, speeches, audiotapes, motion picture film, videotapes, and photographs relating to Senate career and the work of his staff on national issues and Louisiana affairs. Also includes several thousand items relating to personal and political activities of Long family, particularly Huey Long. Major topics include tax reform, petroleum law and legislation, patents and government-developed inventions, flood control, inland water transportation, Louisiana politics and government, and employee stock options. Access restricted, contact repository. Finding aid. Papers: Campaign items in A.A. Fredericks collection, 1914-1964, permission required; 3 letters (1952,1955, 1956) and 1 poster (1962) in Ernest S. Clements collection, 1918-1968; and 1 letter (1941) in Dormon collection, 1920s-1960s. Papers: Correspondence in James Carson Worthy papers, 1961-1971. Finding aid. Papers: Correspondence in Wilbur J. Cohen papers, 1930-1987; and a recorded interview in the Gunnar Back broadcasts, 1930-1979. Oral History: 1971. 15 pages. Limited to reminiscences of Russell. Papers: Correspondence in Stella Brunt Osborn papers, 1916-1992; and Margaret Bayne Price papers, 1918-1969. Finding aid.